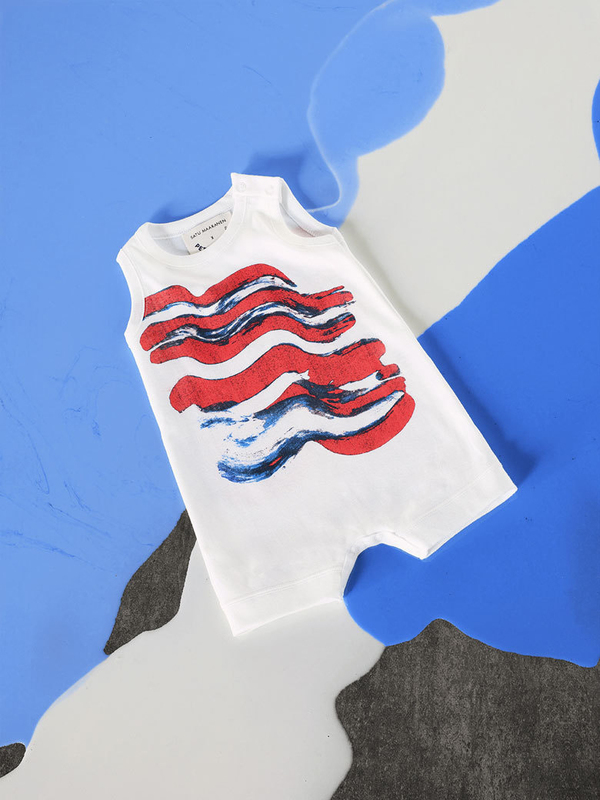 Petit Bateau, the effortlessly stylish French fashion retailer, is on the verge of launching a new spring collection created in collaboration with artistic Finnish fashion designer Satu Maaranen, winner of the Grand Prix du Jury at the Hyeres International Festival of Fashion and Photography. The one-off collection is designed for woman, child and baby is set to launch on April 29th at the same festival. 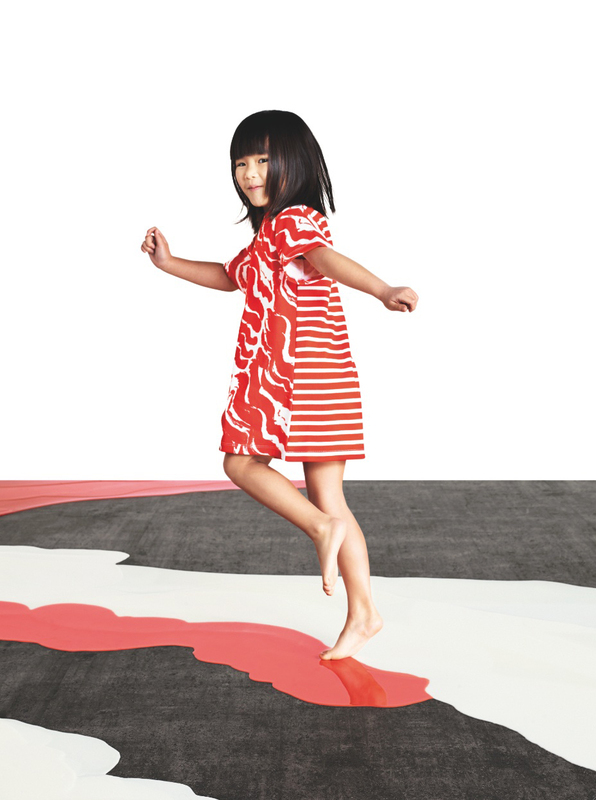 The collection includes designs for women and children. It features high quality, classic wardrobe essentials such as tee shirts, sheath dresses, and cardigans and then ramps up the style with its heavy focus on color, print, and experimentation with mixing patterns. The result is a bright yet sharp aesthetic, suitable for weekend trips to the park or a morning at the office. Maraanen was inspired by her own childhood and used hand painted fabrics that evoke a fluid and wind-blown element to her designs. In the collection, the designer reflects upon her upbringing in nature and spending time in large, open spaces. The collaboration between the brand and designer is a perfect balance of bold yet practical themes and when the clothes hit the shelves they will more than satisfy.